Steve Dustow, a fifth-generation farmer Steve Dustow is creating what he states is Cornwall's first single estate vodka distillery. Dustow's 'Colwith Farm Distillery and Visitor Centre' will be distilling the spirit a in tradtional grain-to-glass style. 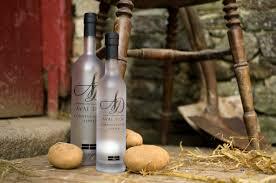 Their first brand will be called Aval Dor, which is Cornish for potato, the grain the distllery will be using (King Edward potatoes are planned). The launch of another grain-to-glass vodka distillery in the UK is another in what is becoming a trend in British spirits production and the focus of those distilleries is vodka indicating a big change in how vodka could be seen in the near future.